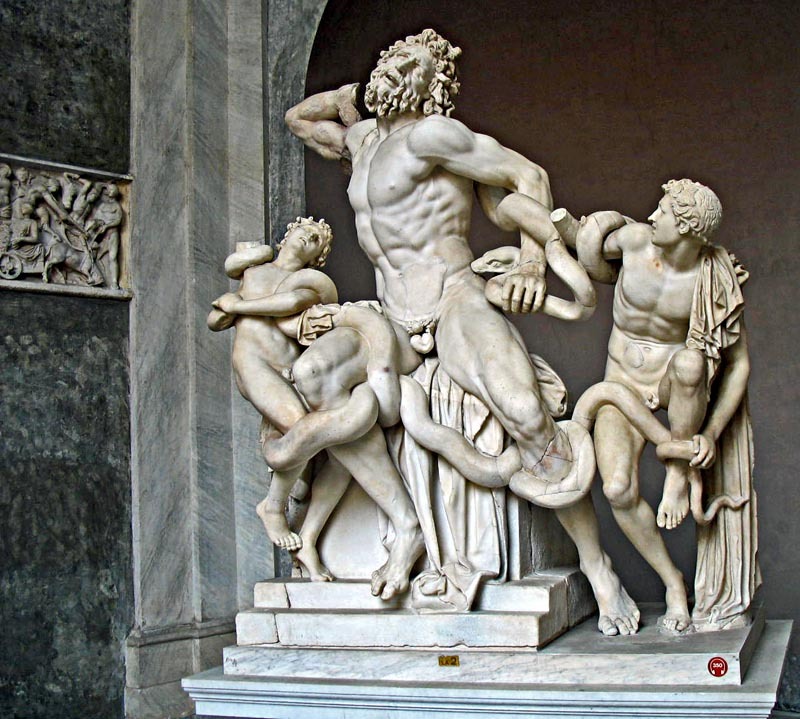 Here are images of the sculptures of Hercules, Tiber (Greek Gods) and also that of Laocoon in the Vatican city. 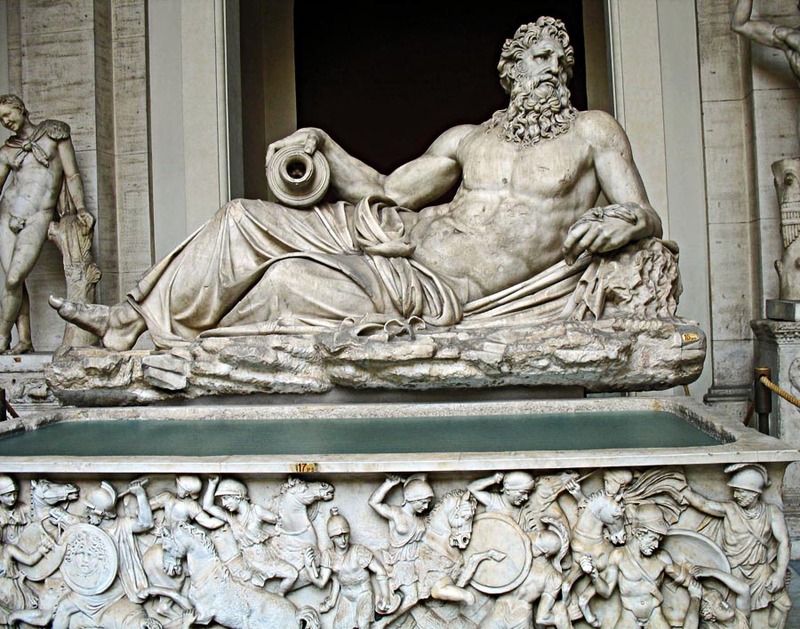 There are all types of sculptures of male figures at the Vatican museum in Rome, some are gods and some are men. The sculptures and statues, sculpted decorations and paintings here are priceless masterpieces. Renaissance artists including Michelangelo, Sandro Botticelli, Pietro Perugino, Pinturicchio worked on the paintings, statues and sculptures and frescoes in the chapel. This is a bronze metal statue of the demi-god Hercules in the museum of the Sistine Chapel in Rome. Fairly a modest statue if one compares it to the other statues. 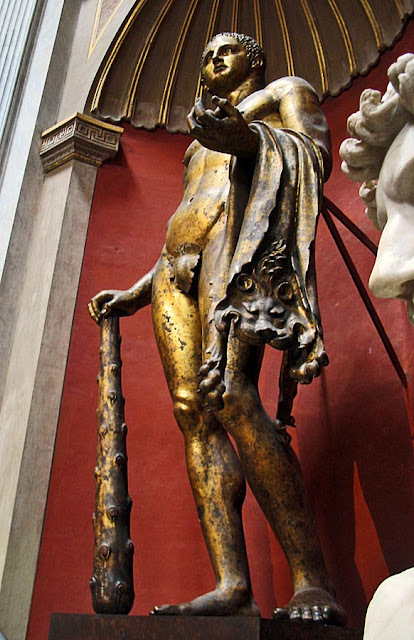 Hercules was the son of thr God Zeus but his mother was a mortal. This is a sculpture the River God Tiber in the Vatican Museum, sculpted during the Roman period. The river Tiber was where Rome was founded and this river was life-giving for the people. It is natural that the ancient Romans worshipped the river. A pity that the symbolic worshipping of nature is now looked down upon. This white marble sculpture of Laocoon and sons (Trojan priest Laocoon and his sons Antiphantes and Thymbraeus being strangled by sea serpents) is one of the more famous sculptures in the museum of the Vatican city museum in Rome. 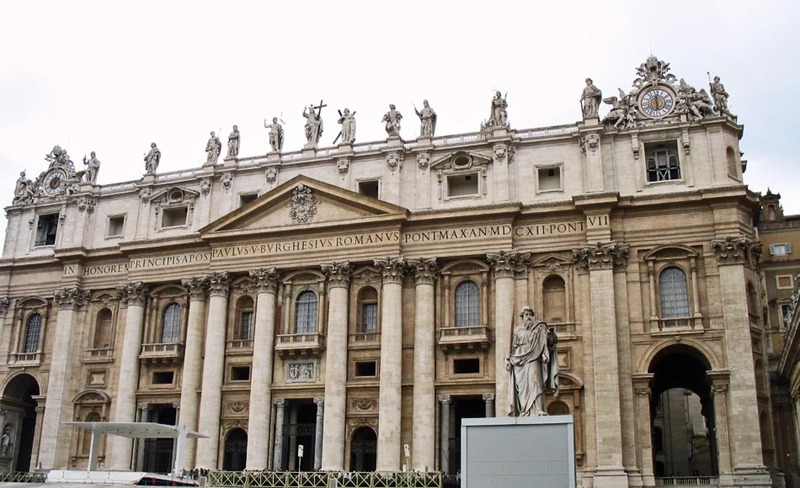 Most of the sculptures in the Vatican city are male figures, although sculptures of female figures can be found too. You might also like Statues and sculptures of women at the Sistine Chapel or check out all the images in the Sistine Chapel including that of exterior architecture and other types of art.